The free website available with all Foliokit accounts allows you to test our editor and to create your website unhurriedly. Once it is finished you have the possibility to turn it into a premium website with a domain name, more storage space, email addresses etc. This short guide explains how to easily transform your free website into a premium one. 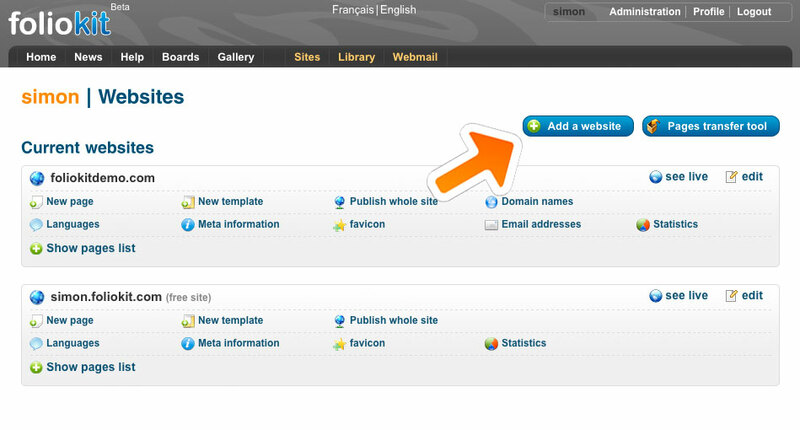 On the next page, choose whether you want to reserve a new domain or transfer an existing one to Foliokit. Continue your order and pay it by following the simple on-screen instructions. 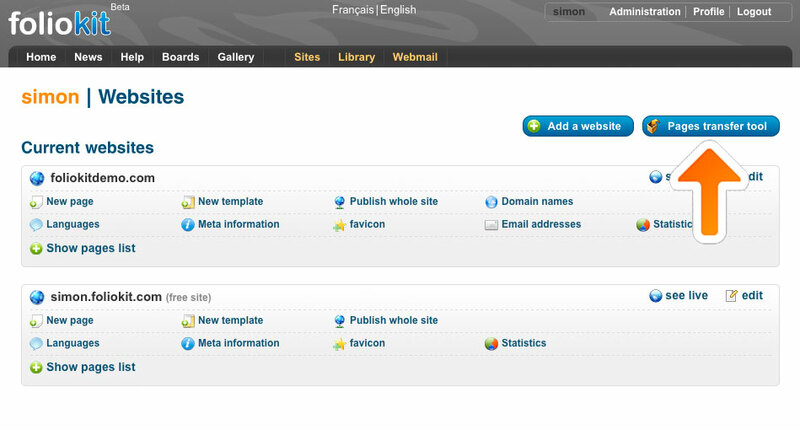 Once the site is created, it will appear in your sites management page. Be careful though, newly created domain names can take up to 48 hours to become active worldwidely (sometimes more for transfers). And voila! Just publish your website’s pages if necessary.